The Mobile Area Chamber of Commerce Foundation has been awarded a $2.9 million grant from the U.S. Department of Commerce’s Economic Development Administration for renovation of a building in downtown Mobile to house Innovation PortAL, Deputy Assistant Secretary of Commerce for Economic Development Matt Erskine recently announced. 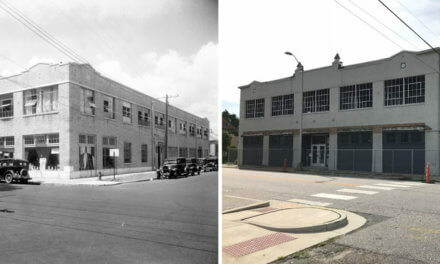 The grant will finance the renovation of the former Threaded Fasteners building at 358 St. Louis St. to house the new workspace designed to assist entrepreneurs in launching business ideas and/or accelerate an existing company with the help of industry experts, mentors and specialized training. The concept is the brainchild of the Mobile Area Chamber Foundation, according to Hayley Van Antwerp, Innovation PortAL’s executive director. The center will be geared toward hosting manufacturing technologies and compatible businesses in a 35,000-square-foot floor plan. It will also include a prototyping lab once the engineering and renovation work is complete. Additionally, building plans call for a surplus of space to handle future expansion efforts. Local private foundations, private industry, the city of Mobile, Mobile County and the University of South Alabama also collectively committed $1.9 million in matching funds. “We’re thrilled to receive this grant from the EDA. It helps propel the Innovation PortAL forward quickly. This project would have never been possible without Advancing Southwest Alabama and the recognition the manufacturing designation brought to the region,” Mobile Area Chamber president and CEO Bill Sisson said. Van Antwerp says the expected economic impact of the first five years of this project is to generate 500 local jobs and serve 300-plus entrepreneurs who, through their companies, will contribute an estimated $5 million to the local economy. Innovation PortAL will welcome its first clients this fall. Prospective tenants are required to complete an online application and attach business, promotion and sales plans. When prospective companies are qualified as potential fits for the facility, candidates are invited to pitch their business plans to PortAL staff and a governing board. A Baldwin County investment group, in partnership with a New York-based speculator, purchased 42 acres of undeveloped land for $200,000 with the goal of building residential lots on the site. The acquisition is near 53 developed lots the group previously purchased for $455,000 on River Road in Foley. 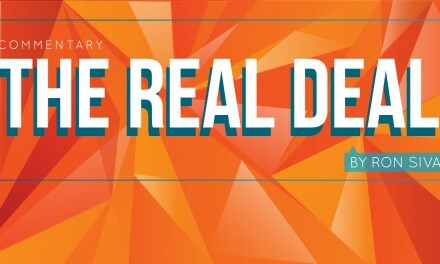 Both sales were handled by Stacy Ryals with Bellator Real Estate and Vallas Realty Inc.
Davis & Associates Tax and Financial Services LLC has rented 1,500 square feet of office space in Town West Shopping Center at 5701 Moffett Road, Suite I, according to Amber Dedeaux, who represented the landlord. The city of Mobile recently closed on two acres of land in Crichton for a new 10,000-square-foot fire station on the corner of Davenport and Haas avenues. The new station will be adjacent to a new Dollar Tree nearing completion and a proposed Popeye’s eatery soon to break ground. Also under construction in the immediate area, on the corner of Spring Hill Avenue and Mobile Street, will be a CEFCO convenience store. These four projects have an estimated development cost of over $10 million and were handled by Vallas Realty Inc.
White-Spunner Construction Inc recently announced the completion of a second Community Bank branch situated at 6587 Airport Blvd. in West Mobile. The 7,200-square-foot site includes office space, a large lobby, customer lounge, conference area, vault, safe deposit box services, drive-thru teller service, a 24/7 drive-thru ATM and a night depository. Inside the lobby is a set of “tech bars” equipped with iPads and Mac computers which have been installed to allow customers to demo online mobile banking products. The single-story building was constructed of structural metal studs and steel framing and features brick and stucco exteriors with decorative parapet elements. It was designed with energy-saving technologies, such as LED lighting and advanced heating and cooling systems. Architect on the project was Jarrid Cecil of Eley Guild Hardy Architects in Biloxi, Mississippi. SportClips has signed a lease to occupy a 1,200-square-foot retail space at Daphne Commons, according to Buff Teague with JLL. The new development is slated for a late 2017 opening. JLL was also recently awarded the project leasing work for Daphne Commons. According to Matt White with White-Spunner Realty, Premier Medical Group recently purchased 4.25 acres of property, including a 28,165-square-foot building at 1302 U.S. Highway 98 in Daphne. WSR worked for the buyer and Spence Monroe with Ashurst Niemeyer Inc. represented the seller. Local investors recently purchased the 7,280-square-foot First Church of Christ, Scientist property at 1151 Dauphin St. for $625,000. The new owners will be renovating the building while maintaining its historical integrity. Once work is complete, Vascular Center of Mobile will occupy the space; the church will relocate nearby. Sharon Wright with White-Spunner Realty represented the buyers and Justin Toomey with Stirling Properties worked for the seller. Eleven college students from universities across the Southeast recently completed summer internships at BASF’s site in McIntosh. Student interns worked with employee mentors to receive firsthand experiences that challenged them to contribute to the site’s productivity and performance. The student interns performed a variety of hands-on tasks focusing on equipment reliability, shipping and receiving goods, checking samples in the labs and working with operators in production units. The students included Thomas Taylor, Auburn University; Xavier Barnes, Faulkner State Community College; Mary Chesebro, Auburn University; Sharla Rainwaters, University of South Alabama; and Jaylon Busby, Zane Warr, Brandon Threadgill, Jacob Holston, Dedrick Franks and Zane Montgomery, Alabama Southern Community College. For more information about careers at BASF, visit the company’s website.